A good SEO campaign is centered around creating quality, relevant content for your website. It takes a lot of hard work and a bit of patience to see the results, but this is the only way to build organic, sustainable, web traffic. SEO has been one of the most talked about services in the digital marketing industry. Is it necessary? Is it dying? Do we really need it? We are here to answer those questions for you. Studies have shown that 40% of revenue for eCommerce sites are directly attributed to organic search. Leaving this percentage behind is not only irresponsible, but insane! So to answer your questions; SEO is not only becoming a requirement for all marketing budgets, but it is a NECESSITY. Our SEO campaigns start from the ground up. 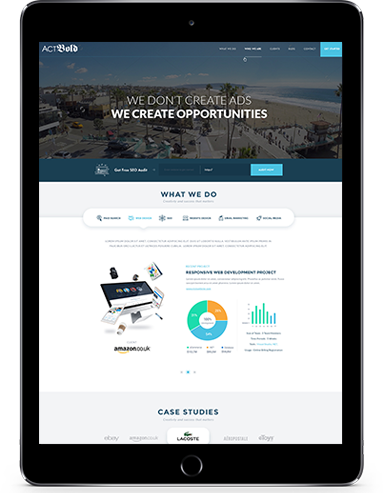 This means doing ample research around your business and industry, and dedicating that knowledge into a customized campaign. The goal of our campaigns are to drive relevant, high quality traffic to your site that will convert, which will ultimately increase rankings and important KPI’s. We are not in the business of tricking Google, but making Google aware that you deserve to be found first. Our strategy is customized around the three pillars of SEO: On-Page Optimization, Engaging Content Strategy, and Digital PR. By combining these two elements along with high quality, keyword focused content, you will see your website soar across all search engines. Digital PR, Content Strategy, Social Buzz, Relevant Press Releases, Niche Specific Blogger Outreach, Link Bait, Product Reviews, & Giveaways.